I was recently sent the Vita-E Natural Vitamin E Cream(*) to review. If you hadn’t guessed, Vita-E is a natural, fragrance free Vitamin E cream for use at day or night for problem dry skin areas. It is perfect as a moisturiser, which is what I have predominantly been using this as. ﻿The packaging is simple, quite plain, but effective. A white background with green and black writing, it is inoffensive but still pretty enough to keep on your dressing table. All natural ingredients are listed on the label and the product has a screw-top lid which undoes easily to get to the product. The packaging isn’t perhaps the most elegant of designs but it does feel pretty sturdy, so if that you were like me and pretty accident prone, you could be pretty confident that it won’t break. The cream is thick in consistency, although not gloopy – and like stated on the tub, it is fragrance free. However, it does seem to have a slightly medicated smell about it – I used to have eczema and the smell of this is reminiscent of the cream I used to have for that! It is not very noticeable though and would hardly offend anyone. The product feels a little greasy when applied, however once it has been left to sink in, it leaves the skin feeling supple and smooth, with no hint of greasiness or oiliness whatsoever. I have been using this cream as a moisturiser instead of my usual product and I have to say it has done wonders for the tiny speckles of dry skin I occasionally get around the bottom of my nose! The cream leaves skin looking smooth and radiant- no hint of dry skin in sight. I will definitely be purchasing another tub when I’ve finished this one! You can buy this cream on the Vita-E website or you can buy it from Boots for the price of £7.49. Does this seem like your kind of product? Yes, I gave into the hype. After seeing numerous blogposts about not only the Revlon lip butters but also the L’Oreal Rouge Caresse alternative, I knew I wanted to see what all the fuss was about. I finally managed to get my hands on a Rouge Caresse in the shade Fashionista Pink. So what did I think? L’Oreal are a well known cosmetics brand, loved by women all over the world. Started in France, the brand is the worlds largest cosmetics and beauty company. Their products are a staple of many a makeup bag or dressing table and everyone is familiar with their well-known catchphrase ‘Because I’m Worth It‘. The packaging is sleek and well-designed, aesthetically pleasing to the naked eye. It is easy to find with its clear casing, easily identifiable amongst the coloured plastic casings found on other products. The packaging feels sturdy and unlikely to break, although I’m reluctant to test that theory out! I love that the shade is included on the bottom of the case with the shade name, so you know exactly what colour to expect. Described as a mix between a lipstick and a lipbalm, the product looks surprisingly bright in the bullet but when swatched, the shade is less pink, more barely there. The pink is still noticeable but nowhere near as bright as it is in the bullet. Apologies for my abnormally large freckles making an appearance in these pictures! Once again, applied to the lips, the product looks barely there. There is a slight pink tinge but nothing of any effect. The Rouge Caresse lipsticks are described as being highly pigmented and I’ve seen evidence to support that – however, I feel this shade falls short. These pictures were taken after layering the product a few times to see if any colour built up – it couldn’t. To apply, however, the product was a dream. It slicked on exactly like a balm and didn’t tug like some lipsticks have a tendency to do. The product left my lips feeling soft and moisturised like a lipbalm should. Would I repurchase? I wouldn’t personally repurchase this shade, as I don’t think the colour payoff is worth it. However, I’m planning to try the other shades in the range as I feel the quality and application of the products themselves are outstanding. Have you tried any of the L’Oreal Rouge Caresse lipsticks? Or have you tried the Revlon lip butters? How many of you enjoy a cheeky little cocktail? How brilliant would it be if you could have your favourite tipples in the comfort of your own home? Well now you can. MyCocktail are ready to serve pre mixed cocktails, handily designed with an easy to use tap for pouring. I was recently sent the Mojito(*) and Cosmopolitan (*) to trial and review. 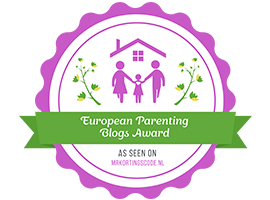 As a mum to a young baby, I have been sticking to soft drinks or non-alcoholic wine of late but was itching to be a little naughty and have a glass of alcohol. These more than satisfied my need. As soon as they arrived, Steve (my boyfriend) ripped open the packaging to see just what was inside. I have to admit, he was a little naughty and poured some straight into his mouth but I let it slide, preferring instead to find out his views on the products themselves. For someone like Steve who rarely drinks, an alcoholic beverage has to be amazing for him to carry on drinking it…and that he did. I invited my friend Michelle round for a cocktail night and a catchup and he must have outdrank us on both cocktails! The Cosmopolitan is divine, just the right amount of vodka to the other ingredients and has to be my favourite. I have never been a great fan of Mojitos – after working in a pub and being made them time and time again by my boss, any love I could have ever had for the cocktail soon faded. This Mojito though is totally different, the premix is definitely right in regards to each product-each flavour compliments each other perfectly, rather than one in particular outweighing the other. After countless glasses and numerous tastings by family and friends, I still have plenty of cocktail in each pouch left to enjoy a cheeky little drink by myself. The resounding opinion of nearly all of my fellow reviewers is that these cocktails are fabulous and some are planning on purchasing these pouches for upcoming occasions. Only one of my friends was left unimpressed, she couldn’t put her finger on why they left her feeling this way but I’m guessing she may be used to slightly different cocktails – having a cocktail made for you in a bar can easily lead to a bit more of one ingredient than the other, altering the overall taste. I personally think these are great tasting drinks, perfect for the summer we have coming up – these are easy to carry, easy to pour and are perfect for barbecues, picnics and parties alike. These cocktail pouches currently retail online and in store at Asda for just £10 – a great price for a great product. As mentioned above, I barely got a look in with these BUT I am now the greatest daughter ever. My Dad adores his gin and tonic but recently has found the bartenders (or the cans he buys) can’t get the mix quite right. My Dad and his best friend Mick tried a can out each and for a week afterwards, no word of a lie, they were begging me to find them more of these! They say that there is the perfect mix of gin to tonic and they definitely want more – so being the lovely daughter I am, I am going to buy some when I next see them in the shops. My Mum tried the vodka and orange, leaving but a sip for me of course, and as a seasoned vodka drinker (that sounds really bad-you know what I mean), I eagerly awaited her verdict. She too came back with the statement that these are the perfect mix of each ingredient and has also informed me she wants more. It seems next time I go grocery shopping, I shall be purchasing all of the above to keep everyone happy! 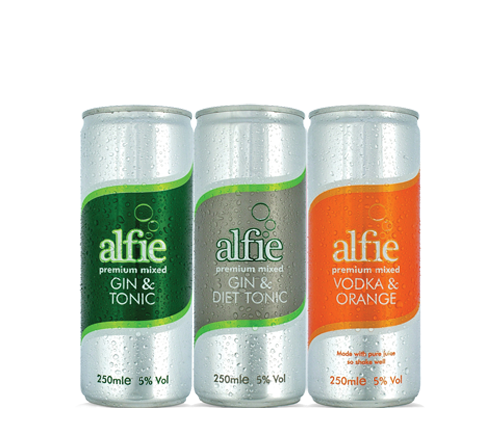 You can purchase Alfie premixed cans at your local Spar, Nisa or Asda. Would you try any of these? Do they seem like your kind of thing? Let me know – what do you think of premixed alcoholic drinks? opportunity to review some books by the lovely people over at The Book People. The name may sound familiar to you for a variety of reasons. of course, The Book People. chance to review a new thriller, how could I pass up the opportunity? say I will be purchasing from them in the near future. you are a bookworm like me. website here. You can also find them on Facebook and Twitter. I recently posted a review of the Lush Think Pink bath bomb, which I bought as part of a Lush haul with a few other goodies. This bath bomb was one of those ‘goodies’. I’d seen a lot about the Space Girl bath bomb around the blogging community and wanted to see what the fuss was about. 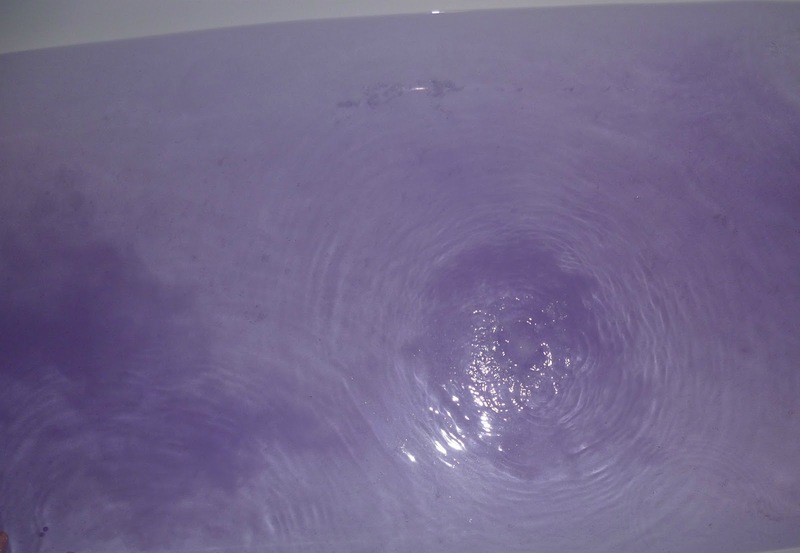 It was Gemma-Louise’s review, which you can find here, that became the deciding factor in which bath bomb I would choose, and I soon had a Space Girl bath bomb winging its way to me. Lush will only buy ingredients from companies who do not test on animals. They invent all their own products and fragrances by hand and try to use as little packaging as possible. They also like to make their customers happy & they believe the customer is always right. You’ll always find a happy face beaming back at you from your product – that’s the person who made it! Not much can be said about the packaging. As mentioned above, Lush try to use as little packaging as possible, instead focussing on the quality of their products. The bath bomb turned up in a little air-tight plastic bag, just big enough for the bath bomb to fit inside. Not pretty but practical and as environmentally friendly as they can be. It gets the thumbs up from me. I was astounded by how beautiful the colour of the water was. Some people have said that they find this bath bomb to be one of the faster dissolving ones, but I can honestly say that this fizzed away merrily for quite some time. The smell that emitted from the bath bomb was unbelievable too. I couldn’t quite put my finger on what the scent was at first, but after a little while of racking my brain, I believe it smells of Parma Violets, the sweets you used to be able to get from old-style sweet shops. Can you still get them? If you listen carefully, you can also hear the popping candy that is inside, although I did have to strain to hear mine. The bath left me feeling refreshed and in a much happier mood, the smell of Parma Violets really lifted my spirits and I got out of the bath with a spring in my step. Without a doubt, yes. This bath bomb smells divine, looks beautiful and just generally put me in a great mood! The only downside was having to get out of the bath, unfortunately. With water as beautiful as the above picture, why would you want to? What’s your favourite product from Lush? Are there any you’d recommend to me for my next haul?